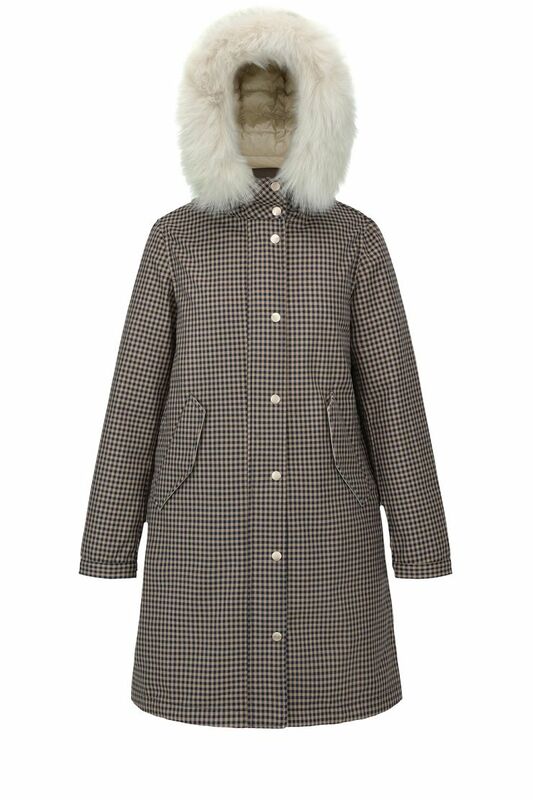 Hetregó Ankara down parka is a luxurious piece of outerwear detailed with white fox trim hood. 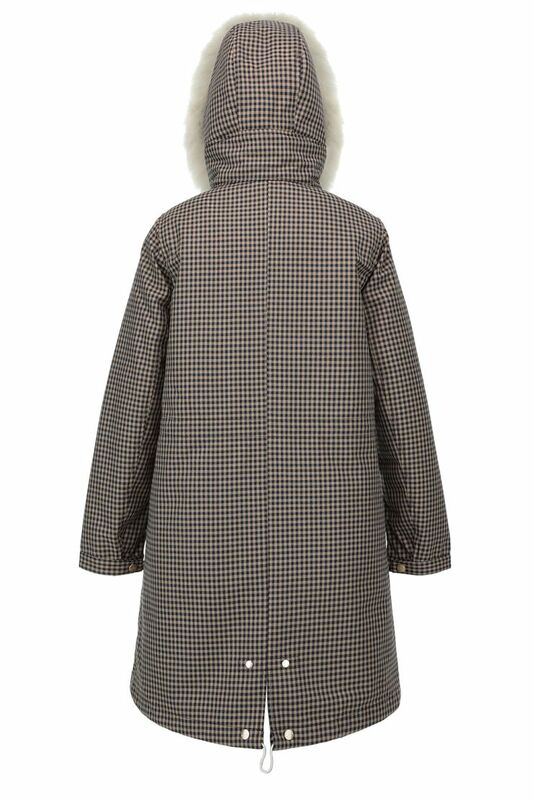 The coat has a detachable inner jacket padded in goose down, that can be easy removed if you wish to wear the checked parka as an overcoat. The detachable inner can not be worn alone. This style features a placket with snap closures over 2-way zipper, adjustable cuffs, side welt-pockets and fixed hood. This elegant oversized parka is refined with gold snaps and heat-sealed details. Care: Machine cold wash with liquid synthetic soap and neutral - avoid spinning or only spin briefly - use a very gentle program. Do not bleach.OUTER JACKET: do not tumble dry - dry in shade. Cool iron at max 110c - place item under a cloth, do not iron lining. Mild professional dry clean p. INNER JACKET: do not tumble dry, dry flat. Do not iron. Mild professional dry clean f .